Polperro Festival | Cornwall For Ever! The Polperro Festival is a community and arts event that takes place in Polperro in late June every year. The event was started in 1995 by local people and businesses, and like other events at this time of year is partly based on the Cornish traditions of the past. The nine-day event is full of music, drama and art of all kinds. 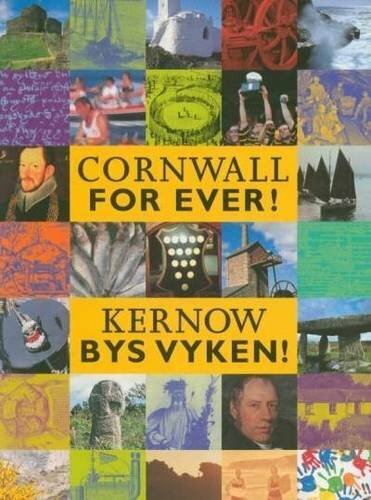 There are also traditions that are celebrated as part of midsummer, which are very much like those in other parts of Cornwall, like Penzance’s Golowan Festival and the Old Cornwall Society midsummer bonfires. The Polperro Festival celebrates with a midsummer bonfire on the date of the Solstice, often 21st June. Solstice is the time when the sun spends longest in the sky and marks the start of the return of darkness. At one time, Solstice bonfires were lit across Europe. During Polperro Festival, the organisers secretly choose a “Mock Mayor”. This person then leads the festival, making a speech in the centre of the village accompanied by the “Merry Men”: his supporters dressed in fisherman’s smocks. The Mock Mayor is dressed in clothes making fun of real mayors or other leaders. After the speech, the Mock Mayor tours the local pubs, handing out fake money and eventually being thrown into the sea at around 4pm.